If you want to keep your home comfortable and energy-efficient, you’re going to need the proper insulation. 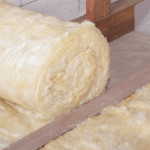 There are lots of choices when it comes to different types of insulation, but today we’re focusing on just two: blanket insulation and board insulation. 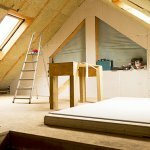 If you are adding insulation to your attic, it’s generally a good idea to go with the same type of insulation that is already being used. But, there’s nothing stopping you from mixing and matching insulation types. You can use blanket and board insulation together for maximum efficiency. Speak with the insulation experts at Service Champions to learn more about efficient insulation options for your home, including radiant barriers and duct sealing and insulating. 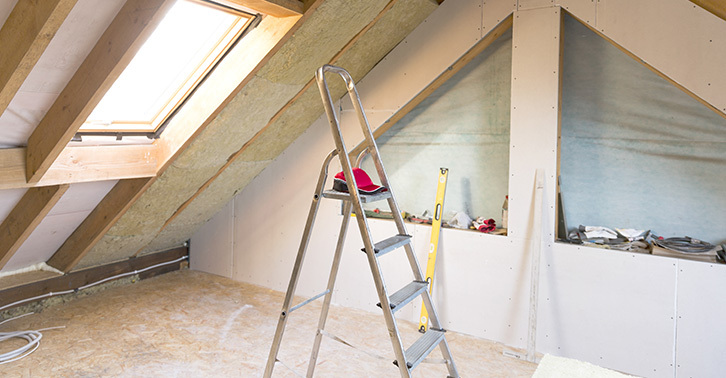 Learn more about the steps involved in insulating your attic. Blanket insulation comes in batts or rolls and is the most common type of insulation used in the United States. Batt insulation is precut in rectangular pieces. Rolls come in, you guessed it, rolls—you have to cut the material to size. Both batts and blankets are soft and flexible, but most people find batt insulation more difficult to work worth. Blanket insulation is easier to cut to size and use around irregular areas, like electrical boxes. Batts can be used for walls, floors, and ceilings (between studs, joists, and rafters), but installation can be cumbersome and unpleasant. 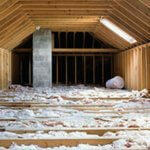 Batt insulation is best suited for studs and joists with even spacing, free from obstructions. While installing batt insulation can be a potential DIY project, it’s best to consult with a professional. We like fiberglass batting for Northern California homes because it is easy to install and waterproof. Foam board, on the other hand, is rigid and will break if you try to bend it. Board insulation coms in a variety of sizes and can be used for walls, floors, ceilings, and low-slope roofs, but it’s best for floors and walls. Since foam board is more flammable than other insulation types, you must cover it with ½-inch gypsum board or other code-approved material for fire safety. If you use this insulation outdoors, you must cover it with weatherproof fencing. The benefit of using foam board is its high-insulating value for being so thin. There is aluminum-backed board insulation available, giving you some radiant insulation as well. Both blanket and board insulation are good options for improving the insulation in your home. Blanket insulation has greener, more environmentally friendly options, but it tends to be more expensive as well. Before you choose the right insulation type for your needs, Ask a Champion. There are many fundamental and overlooked aspects of insulation that can be easily avoided with a simple phone call to a professional.